SIZE : 27" - 30" RIB LENGTH (CUSTOM SIZE IS AVAILABLE. 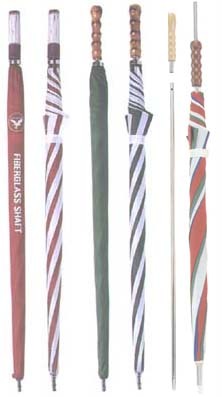 OPTION : LOGO PRINTING ON HANDLE & SHAFT (ONLY FOR WOODEN & FIBER GLASS SHAFT). 29"X8 RIBS, 2 SECTION AUTO OPEN GOLF UMBRELLA, FIBER GLASS RIBS. Please contact us if you want to have more detail information for each item. 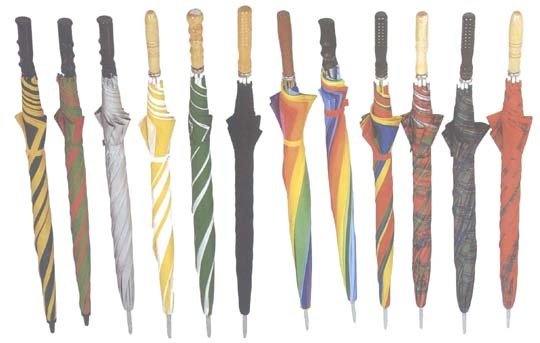 N-E WOODEN MASSAGE HANDLE WILL RELEASE YOUR STRESS WHILE YOU HOLD THE UMBRELLA. 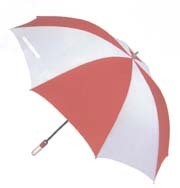 30"X8X2 FIBER GLASS SHAFT & RIBS UMBRELLA WITH A MATCHING COLOR WOODEN MASSAGE HANDLE.